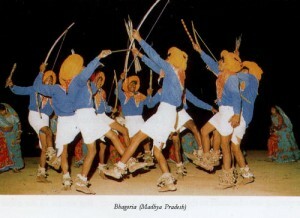 In North India, Kumaon and Garhwal region has a variety of trance dances; the leading one is called Jagar. It is inspired by a local legend. The legend runs as follows : Once upon a time, there was a very beautiful Brahmin girl by the name Bhana Joshi. The prince of the kingdom fell in love with her. Both loved each other so deeply that ignoring the caste barrier the prince wanted to marry her. When none of them could be dissuaded to part with, they were killed. This tragic love story has inspired the Jagar trance dance. 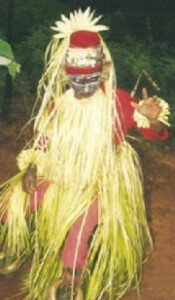 It is danced both by men and women, A vocalist sings the ballad when the dancers depict the story by gestures. The dance culminates in invoking the spirits of Bhana and her love-prince. The dancers then go into a trance. Finally, a priest performs some rituals to send the spirits back to their heavenly abode to rest in peace.